Do I Qualify for Statutory Sick Pay? Under employment law in the UK, employers are obligated to pay Statutory Sick Pay (SSP) to all employees who normally pay National Insurance contributions (NIC) and if they are sick for a period longer than 4 consecutive days but less than 28 weeks. The first three days of sickness are known as Waiting Days and are unpaid. Subsequently, the Statutory Sick Pay is set at £92.05 per week and is paid by your employer, in the same way as your normal wages, but after deducting tax and National Insurance. You can still qualify for SSP if you have recently started your job and have not received 8 weeks’ pay yet. You are not eligible if you have a continuous series of linked periods that exceed a period of 3 years. If your employer informs that you are not entitled to sick pay, you should ask them to provide a written explanation of their reasons. 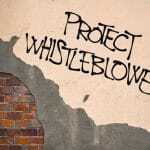 They should give you this information on a form called Statutory Sick Pay And An Employee’s Claim For Benefit (SSP1). If your employer doesn’t give you the SSP1 form, you should ask them to provide a written statement explaining why you are not eligible to get Statutory Sick Pay. You may also give them a copy of the form to fill in. According to employment law in the UK, If your employer doesn’t give you either the SSP1 form or a written statement, you need to contact the employees’ enquiry line of HMRC on 0300 200 3500.
on or before the start of the 23rd week, (if your SSP is about to end before your sickness does). 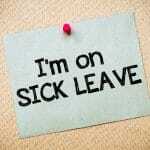 Can I be fired for taking time off sick? 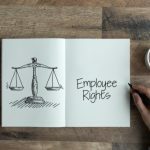 What are my statutory rights at work?